Dating back from 1981, this painting was purely accidental. Discovering the painting was off-centered, Keith Haring decided to add a third eye: not knowing it, he had just created a new emblem of the PopArt movement. 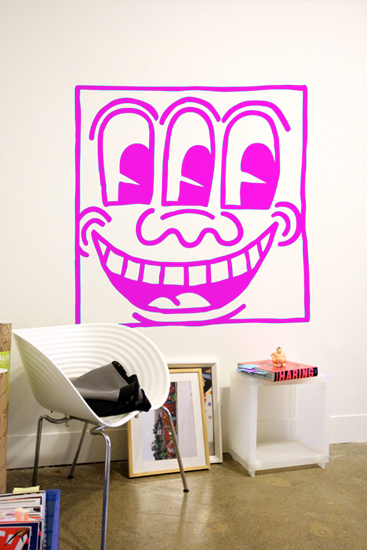 These Giant Wall Stickers are high quality products made of very fine vinyl for a 'painted' aspect. 59.95 Stock: SOLD OUT - Limited Edition. 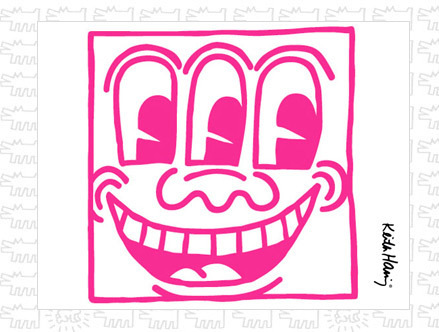 Visit Keith Haring 'The Political Line' Kunsthal Rotterdam exhibition currently on from Sept.20 2015 to Feb.7 2016.